Morning Photo Shoot, a photo by carolinearmijo on Flickr. Oliver is usually pretty happy and chatty first thing in the morning. 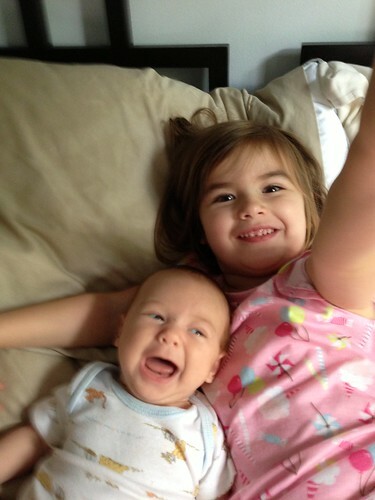 Here’s a smile from brother and sister yesterday morning. We’ve had a great Holiday weekend so far. Here’s hoping you do, too.